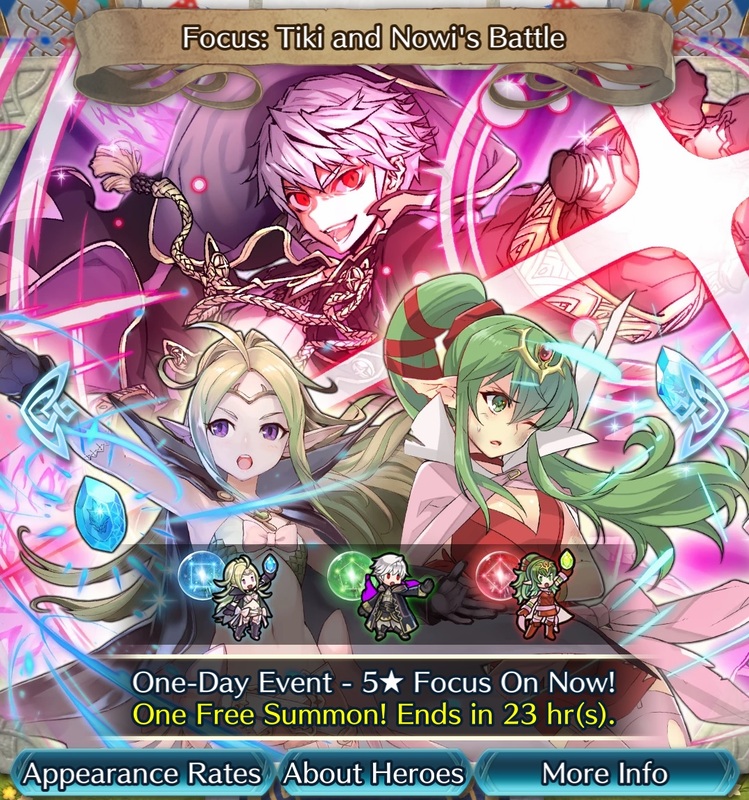 Two returning Summoning Focuses are now back and live in Fire Emblem Heroes — “Tiki & Nowi’s Battle” and “Love Abounds”. The first of these will only last for the next 24 hours, and will fittingly feature Tiki (Naga’s Voice), Nowi (Eternal Witch), and Robin (Fell Reincarnation). 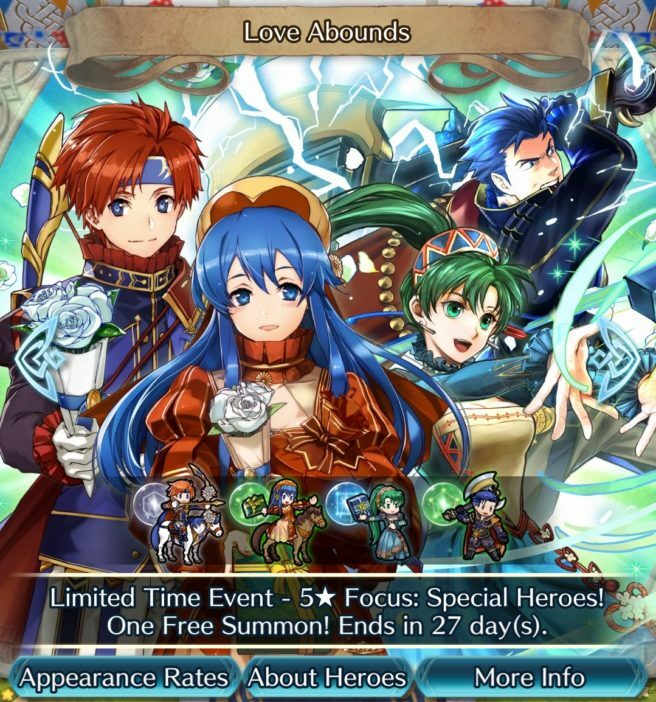 Separately, the “Love Abounds” Focus is back just in time for Valentine’s Day, and will feature Lyn (Wind’s Embrace), Hector (Just Here To Fight), Lilina (Blush of Youth), and Roy (Youthful Gifts). This set will be available to summon from until March 11th. On a side note, the 13th Tap Battle: Illusory Dungeon event is now also live in the mobile title, dubbed “Carrying the Flame”. This event will go until March 4th.